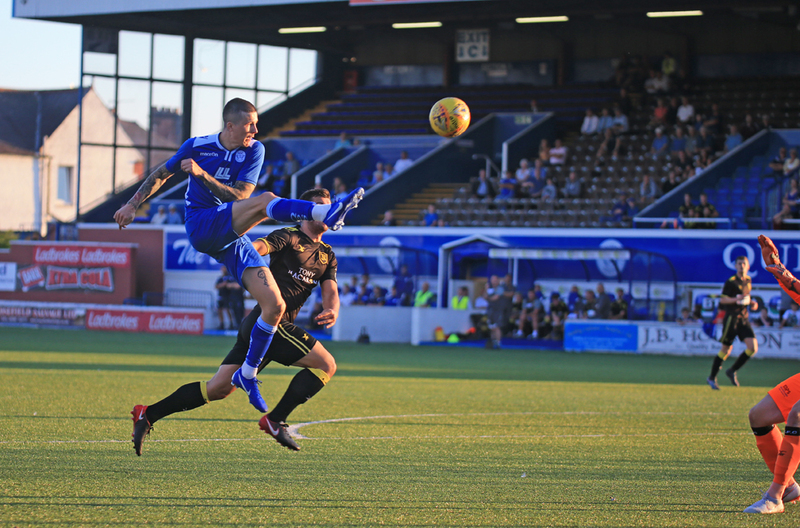 The club can now confirm that Lyndon Dykes will be leaving Palmerston. The 23 year old has secured a move to Livingston, however an agreement has been reached with the Premiership side and he will be loaned back to us for the remainder of the season before he makes the move in the summer. Speaking of the deal, Queens Manager Gary Naysmith said “There has been constant speculation regarding Lyndon’s future now since the summer transfer window and it’s a credit to Lyndon that he has put all that behind him and produced such consistent performances for the club. He is someone that when he takes to the pitch, he can switch off from everything else in his life and focus purely on his football. When it looked like Lyndon was going to move on, my biggest ask of the board if they agreed a deal to let him move to a club in this window was that we made sure we could loan him back until the end of the season, which we have managed to do so for that I am extremely grateful. He is an important part of what we are trying to achieve this season and it was vital that we kept him if we want to try and be successful. Lyndon was very open with me regarding clubs that had expressed an interest in signing him. After speaking to him several times in the last few weeks, he is also well aware of what I expect from him between now and the end of the season and I am certain that he will keep on producing the performances that we have come to expect of him over the last 12 months or so that has earned him his move. He is someone that I have a close working relationship with and I honestly believe that having his future sorted will help him in the remaining games of the season". Everyone at Queen of the South would like to congratulate Lyndon on his move and wish him all the best for the future when he eventually leaves us at the end of the season.